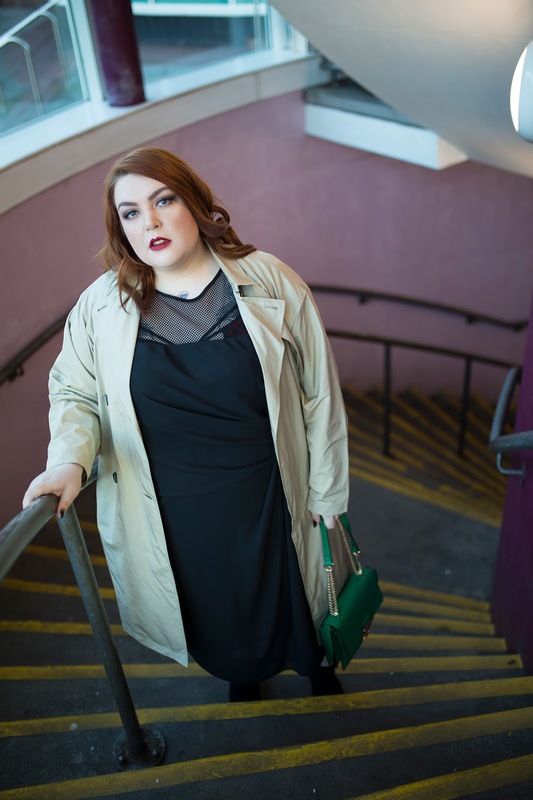 BRAND SPOTLIGHT : M&S CURVE - Sugar, Darling? 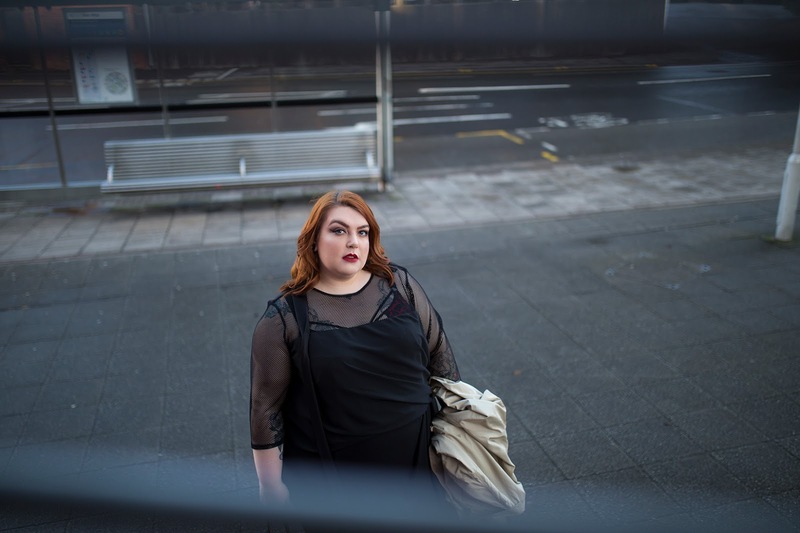 If you're anything like me you get very excited when there's a new plus size line on the horizon. 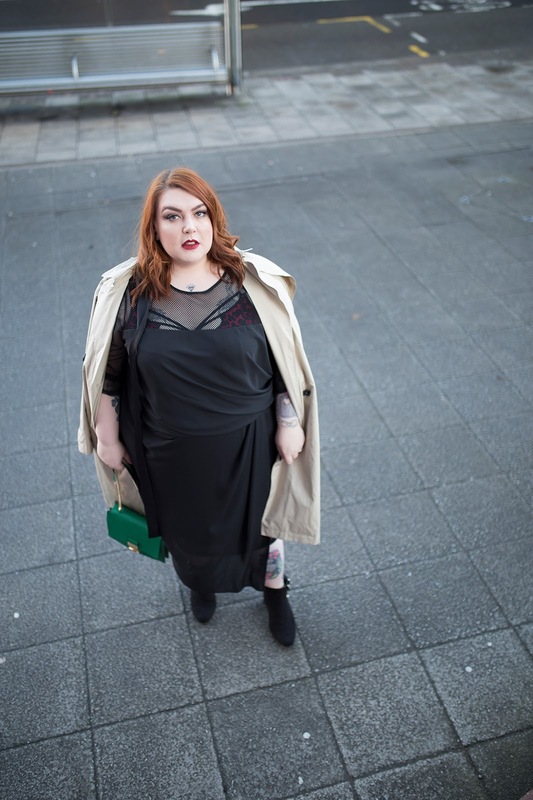 I get inordinately so but all too often the launch is a bit of a disappointment with either a poor range of pieces, cuts being totally off or the sizing being really limited. 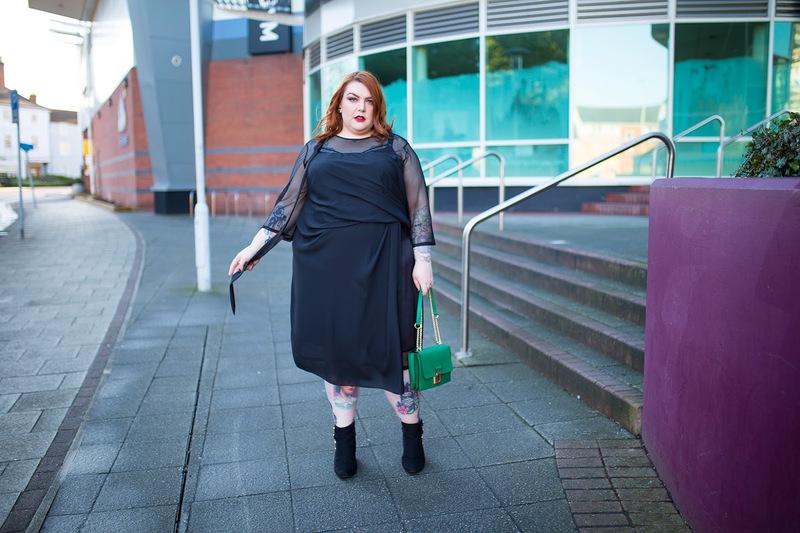 One of the few launches of recent years that I can think of that has actually ticked all the boxes for me was that of Marks and Spencers new Curve collection last month. As you may have seen I was lucky enough to be at the launch event in London (see this vlog!) 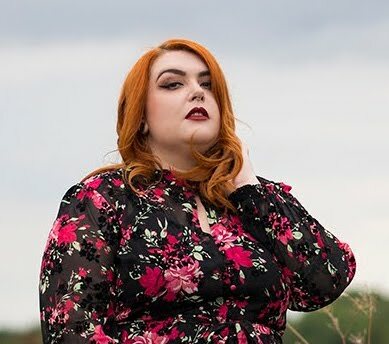 which meant I got a sneaky early look at the collection and some insider info on the design process, fabric choices, engineering of the pieces to make them more comfortable for plus size bodies and even how special larger size mannequins have been obtained to show the pieces in store! There were some comments that the collection was boring, but in all honesty I don't agree and think it's a well rounded selection that totally suits the M and S classic aesthetic and reputation for quality - I mean it's Marks it was never going to be Boohoo or ASOS styling was it? 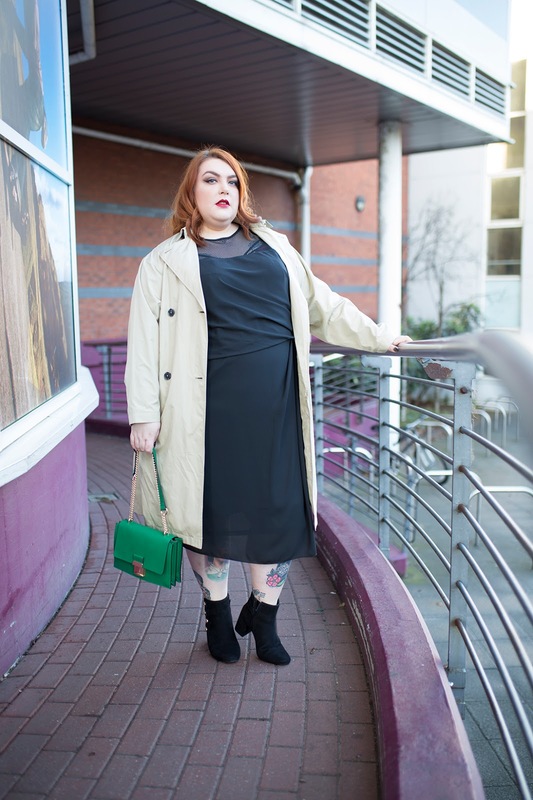 There's great workwear, casual pieces, occasion pieces and basics and you could put together a great wardrobe solely from this collection, so I don't think you can really argue with that! Another very exciting part of the collection is two gorgeous LBD's designed by the one and only Dani Vanier. 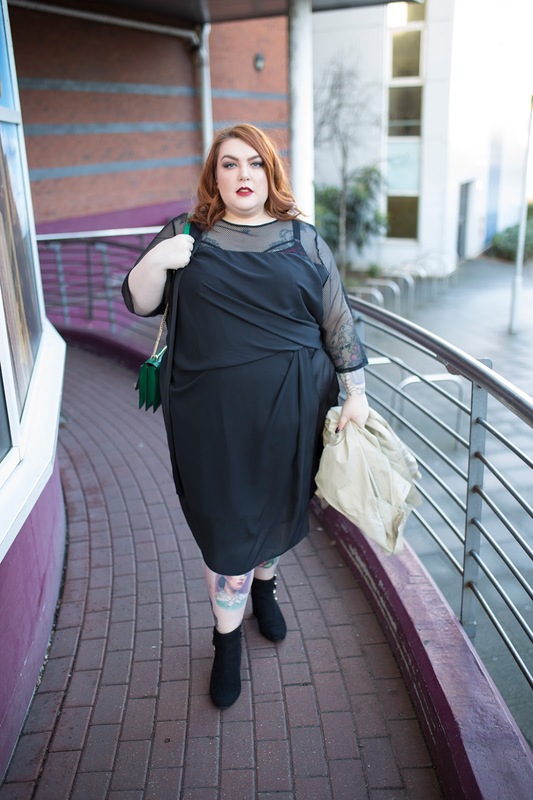 I just had to try one and went for my favourite of the two the Half Sleeve Mesh Midi Dress (£49.50*). I just love the contemporary cut and styling details like the mesh panels, exposed zip and ribbon detail to the shoulder. 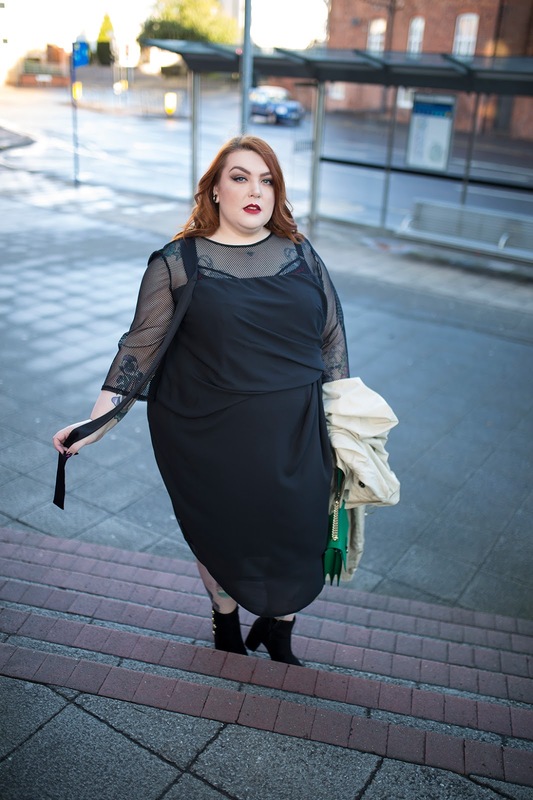 I was unsure what size to get so decided to pick one up from my normal size in case the skirt was more fitted to suit my pear shape, but honestly I should have gone for my regular size so that should definitely be taken into consideration if you order - it is true to size! The mix of textures, lengths and layers is truly dreamy and I know this will be in regular rotation in my closet from now on! 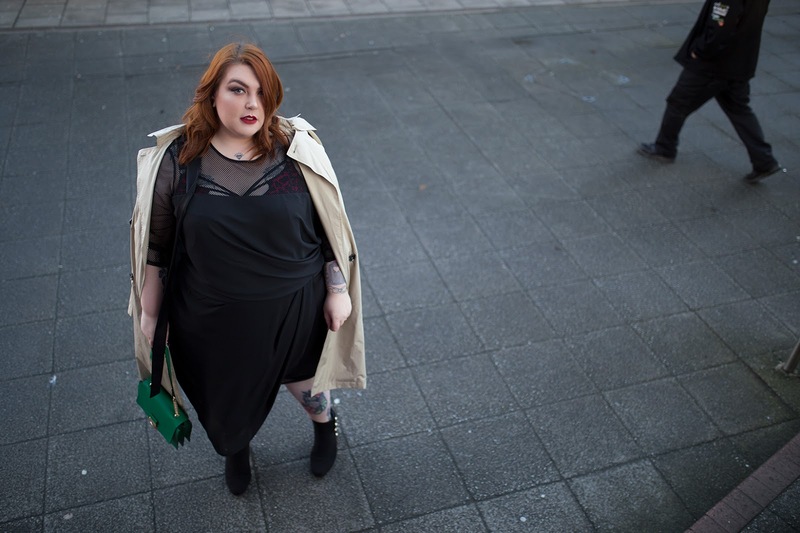 I teamed this modern AF dress with something classic, the Stone Belted Trench Coat (£69.00*). This is a lovely jacket for Spring as it's light and soft, draping beautifully and giving that timeless formal style that has been loved season to season. 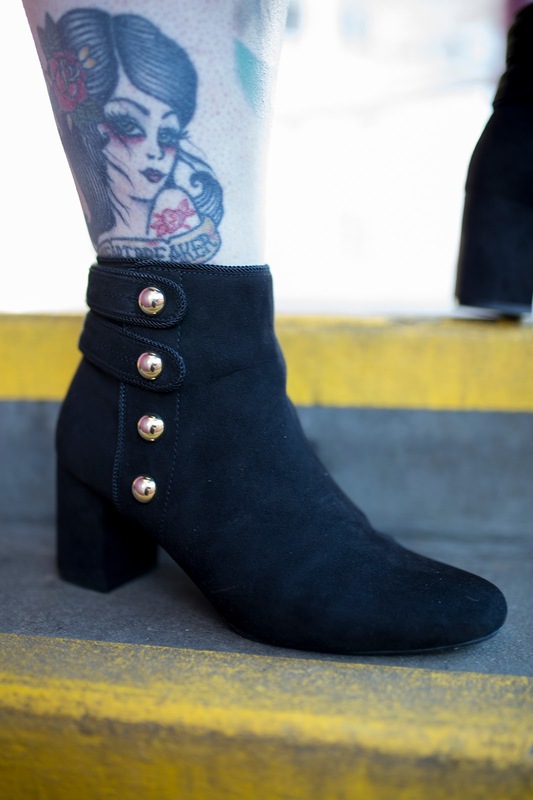 As for accessories I knew ankle boots were the one for this outfit and these Wide Fit Block Heel Four Button Ankle Boots (£45.00*) are perfect for it. The black suede with the gold buttons and rope trim is so lovely and the heel height is bang on for comfort and style, aided by the Insolia® sole that helps distribute your weight evenly so you can wear them all day long with no pain! I'm no good with heels and I can vouch for the fact that these are indeed super comfy. 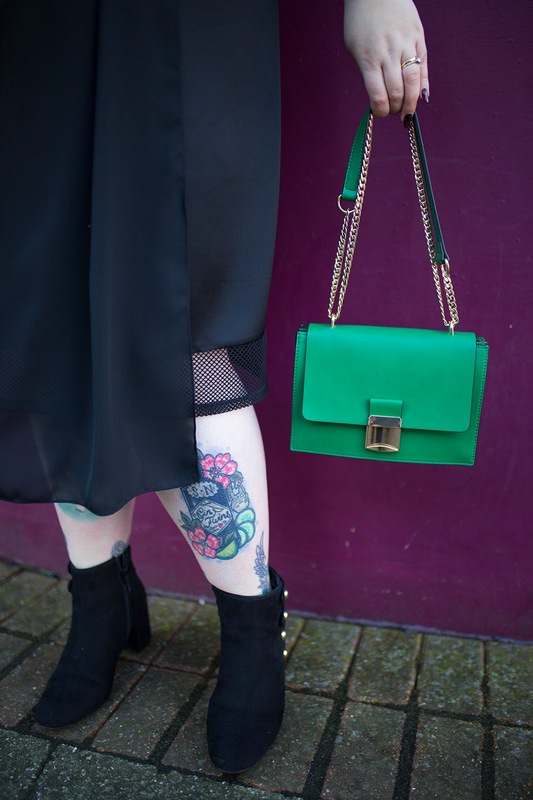 Naturally as this is quite a subdued look for me I wanted to add a big old pop of colour and what better way to do so than with this Green Faux Leather Push Lock Shoulder Bag (£29.50*). Seriously I'm in love with this colour combo and am very tempted to get the poppy red and mustard yellow options too! The gold chain is so luxe and I like how it's a continuous loop so you can shorten the straps by just doubling it up. As you can tell I'm pretty smitten with this outfit and the rest of the collection so I highly recommend you check it out. I think my next pieces to acquire are this and this.